May 16, 2016 12:48 pm. The Manikato Stakes is one of the sprinting highlights of the spring carnival. The Group 1 weight-for-age sprint is worth $1 million and is run at Moonee Valley in late October. Run over 1200m, the Manikato Stakes is a fast-and-furious sprint around the tight track which makes for great viewing. The Moonee Valley race club holds the Manikato Stakes on the night before the Cox Plate. There have been plenty of champion winners over the course of history, most notably the mares. Gold Edition, Miss Andretti, Spinning Hill and Sunline have all won the Manikato Stakes. All of our recommended bookmakers offer betting on the Manikato Stakes, but many of them wait until nominations have been received. Betting typically opens around August for the Manikato Stakes and the following bookmakers will supply all the necessary information, markets and odds. 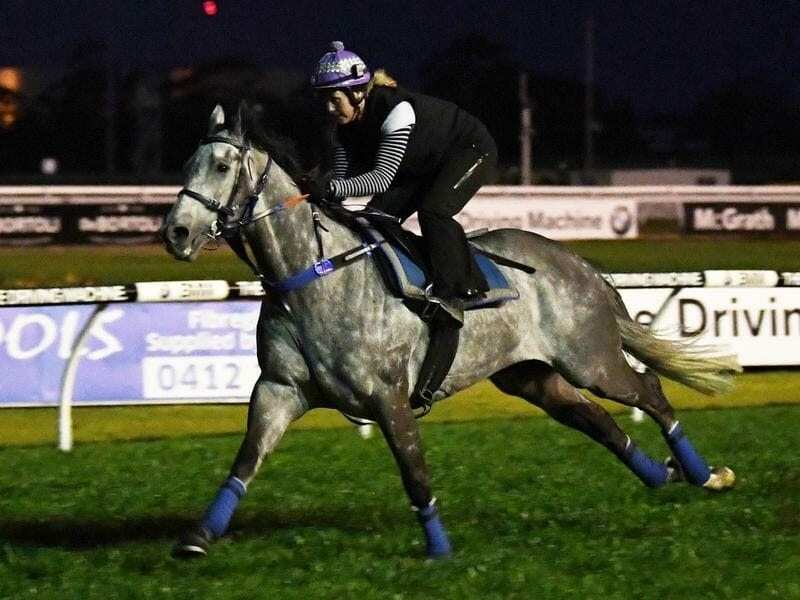 There are no odds available for the for the 2019 Manikato Stakes. Horse Betting will update this page as soon as markets open for the sprint feature. In what will be looked upon as one of his best ever runs, Brave Smash closed late to secure the 2018 Manikato Stakes. An early race move from Craig Williams saw the horse amble up to the leaders just before the turn and Brave Smash responded when he needed to, closing to the line to win ahead of Irish invader Spirit Of Valor. There was plenty of drama before and after the race, but Hey Doc was simply too speedy for its opposition. The Tony McEvoy-trained runner crossed to the front just after the start and it was never headed. There was a protest lodged by the connections of In Her Time, stating that Hey Doc crossed too closely to the Queensland-based mare, but it was quickly dismissed. Race favourite Vega Magic didn’t run well and the drama before the race included the scratching of Chautauqua and the decision to clear English. Read our take here. Rebel Dane caused a big upset in 2016 when winning at odds of $51. The Gary Portelli-trained gelding used the inside part of the Moonee Valley track when rival runners searched wide, but with a steady ride from Ben Melham, Rebel Dane was able to secure another Group one win. 2015 winner Chautauqua didn’t fire in the straight and 2013 winner Buffering was retired following its run. Read race report here. Champion grey Chautauqua was a blistering winner in 2015 with its patented come-from-behind style. The Team Hawkes-trained star was heavily favoured to win at odds of $2.25 and it didn’t let punters down in one of the most exciting finishes in the races’ history. If you want to see one of the busiest finishes ever at Moonee Valley, the Youtube the 2014 Manikato Stakes. Lankan Rupee came into the race as the raging-hot favourite and closed at around $1.35 with most bookmakers. Punters had nervous moments throughout the 1200m race as a swarm of horses were spread across the straight with Lankan Rupee sticking its nose out on the line. Buffering is another Manikato Stakes winner which has tasted success overseas. The Robert Heathcote-trained sprinter has since won in Dubai and although it paid $6.50 to win the Manikato in 2013, the win didn’t really come as a surprise to anyone. The 2013 edition was an international affair with Hong Kong’s Lucky Nine finishing into second placing with Darley’s Sessions in third. Buffering continues to run at an elite level and it shows just how important a Manikato Stakes win is. Chautauqua was brilliant in the 2016 Manikato Stakes. Six of the last 10 winners of the Manikato Stakes have been favourites which have included the likes of Chautauqua, Lankan Rupee, Sepoy and Hay List. Only two favourites from the last 10 years have failed to place. The Manikato is a race for favourites so when the market opens up for the upcoming race, look towards the well-favoured runners. There have been two double-figure odds winners from the last 10 years. Danleigh in 2009 which paid $17 and Rebel Dane in 2016 which paid big odds of $51. However, there have been some high-profile horses taste defeat. Sunline ran second as the $2.10 favourite, Bel Esprit ran second as the red-hot $1.40 favourite and Chautauqua couldn’t justify its $2.25 price in 2016. The best jockeys to bet on have been Damien Oliver and Kerrin McEvoy. Oliver has won two from 18 attempts with nine placings and McEvoy has won twice with three placings from six starts. Following those two jockeys should see you right this year. In the training ranks, many winners have come from trainers having heir first start in the race. Look for the lesser-known trainers for a good betting guide.